Let the S600i tell who you are. Exchangeable Style-Up� covers on the outside and your images, music and video inside. Customize the color and patterns in the menus to your taste and make yourself seen and heard. The S600i takes great pictures and has a 1.8� crystal clear screen for optimal viewing. Send and share your pictures and video in impressive multimedia messages. The VideoDJ� message creator will help you combine video, images music and text and create a unique messaging style. S600i is pure entertainment. Dedicated gaming buttons and an advanced digital media player make this expressive package complete. Coolnewmobile - Offering the latest Contract Phones including the Sony Ericsson S600i at the most competative prices around. We offer fantastic mobile internet phones all with FREE text messaging*, If you want an O2 mobile phone why not buy it now from O2. 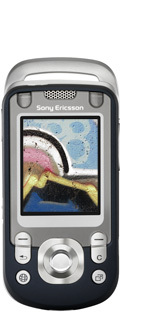 They also have some good deals on the Sony Ericsson S600i.